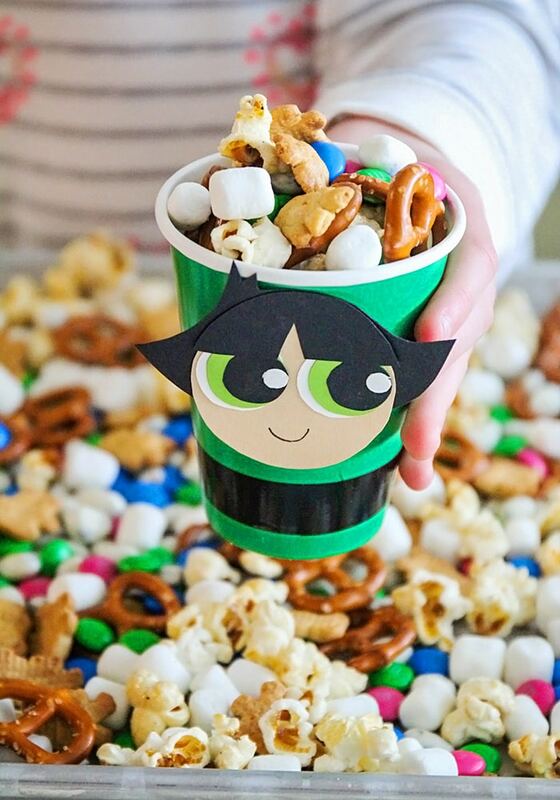 This Powerpuff Girls snack mix is so easy to make, and perfect for munching while watching your favorite superheroes in action on Hulu! Who else loves The Powerpuff Girls? The show premiered when I was in middle school, and after just a few episodes, I was hooked! The show is adorable, funny, clever, and always entertaining. 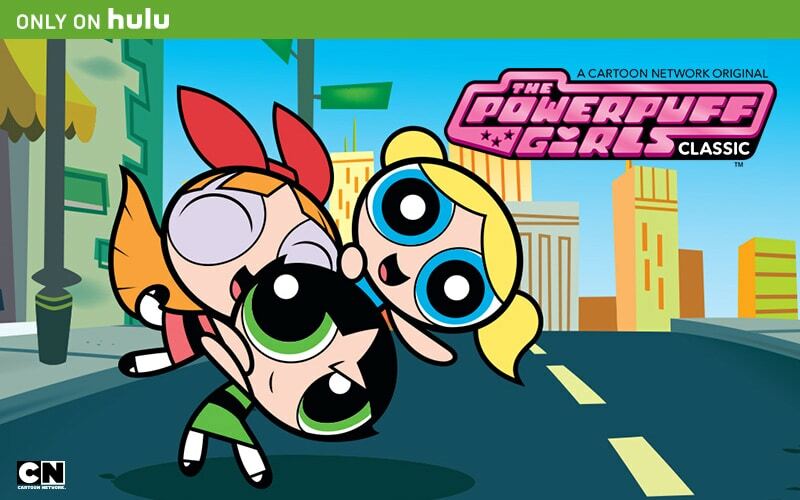 It features three pint-sized superheroes, named Blossom, Bubbles, and Buttercup, and all of their crazy adventures. And now, Hulu is the only place to find the full classic animated series! The Powerpuff Girls was created by Craig McCracken and premiered in 1998 on Cartoon Network. It quickly became a global phenomenon. Since its premiere, the series earned two Emmy® Awards along with five nominations and countless animation honors throughout its 80 episodes. 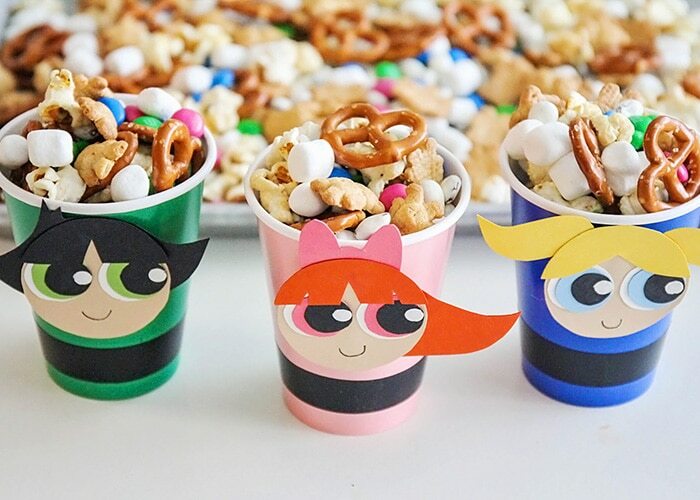 To celebrate their new home on Hulu, we had a fun afternoon making Powerpuff Girls snack mix and adorable little cups to serve it in. 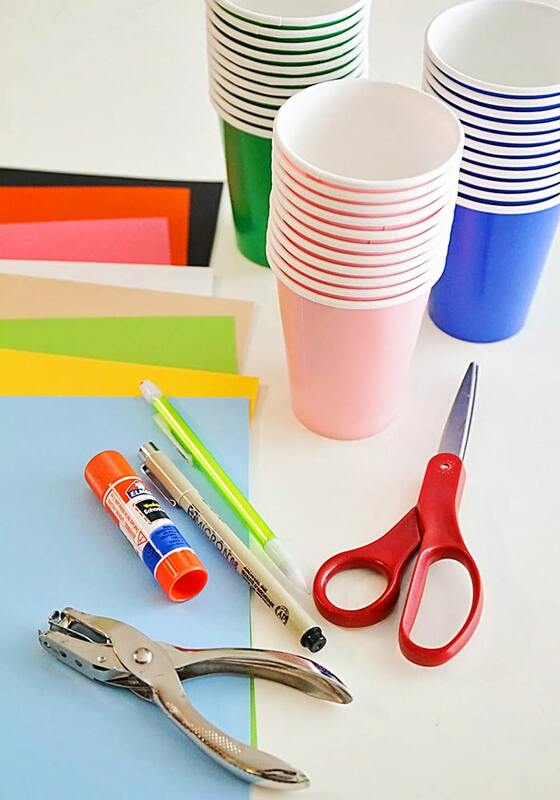 These snack cups are simple and quick to make, and such a fun little craft for the kids! Trace the printable pattern pieces onto the card stock and cut out carefully. Use the hole punch to cut out small white circles for the glint in the eyes. Assemble each Powerpuff girl’s face by gluing together the layers of the eyes, then gluing the eyes onto the face about halfway down. Add the hair, then use the fine tip marker to draw a smile. Glue the faces onto the cups. Add a stripe of electrical tape around the bottom of the cup. Fill with snack mix and enjoy! 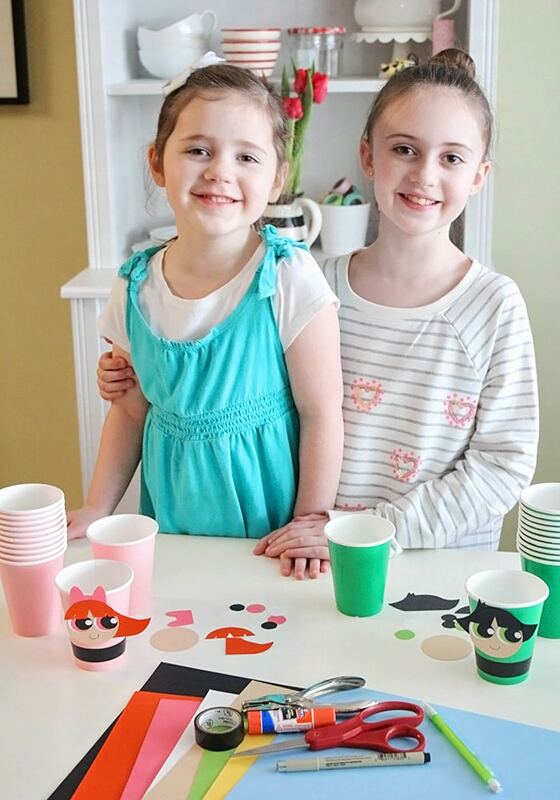 My girls were really excited to get started making their own Blossom, Bubbles, and Buttercup snack cups! I cut out all the little pieces to make things a little easier for them, and they did all the gluing. I made an example for them first, so they could see how all the pieces fit together. The finished snack cups turned out really cute! I love the little stripe of tape around the bottom of each cup to represent the girls’ belts. Such a fun little detail! 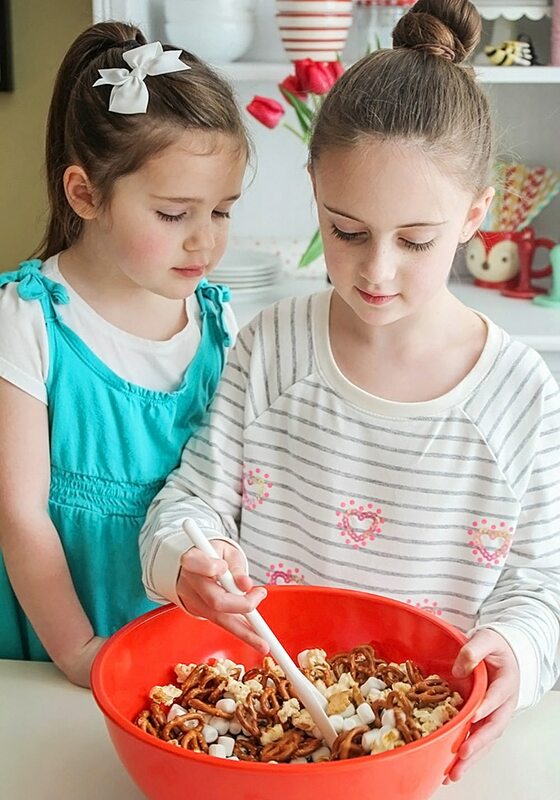 With our adorable cups in hand, we were ready to make some delicious snack mix to fill them. 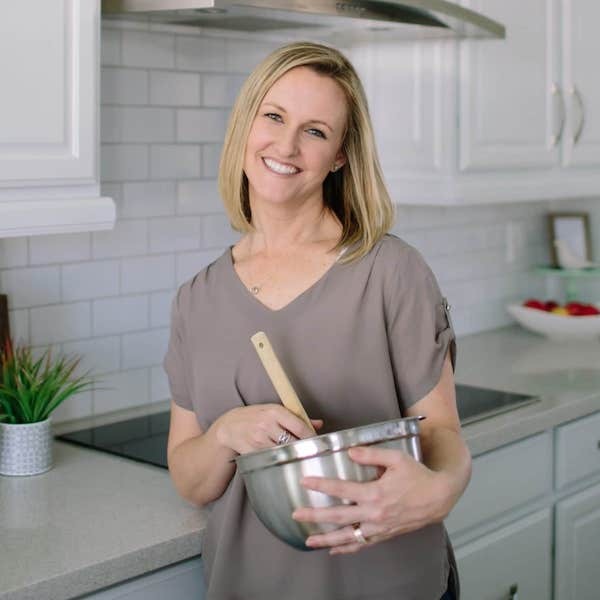 I picked some of my kids’ favorite snacks and combined them together into a tasty mix. 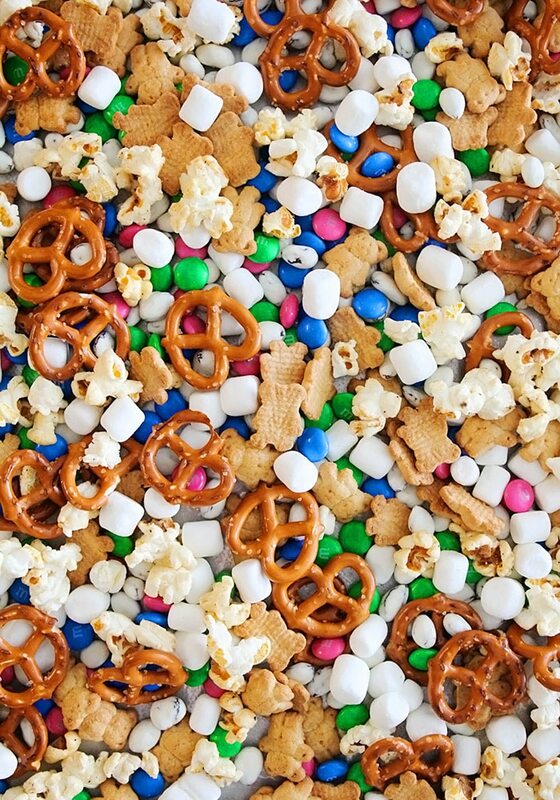 This snack mix would be really easy to customize with any of your favorite things, but we absolutely loved this combination! 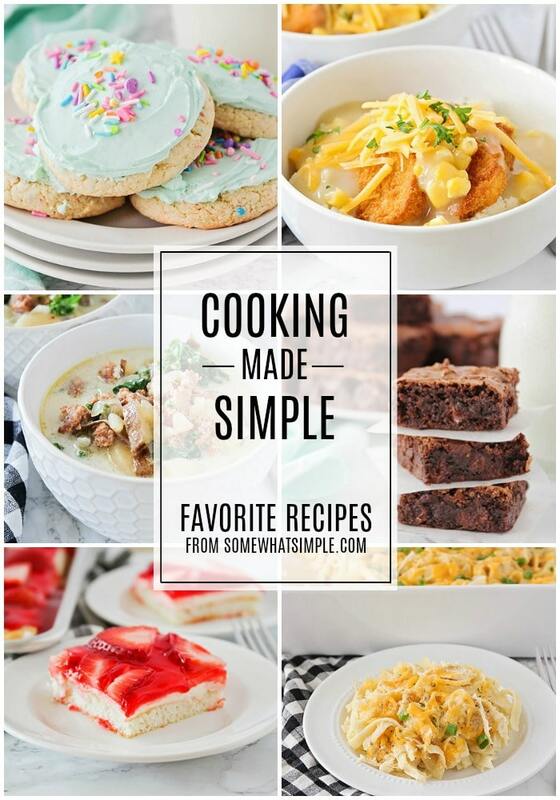 You just add all of the ingredients to a big bowl, and stir. 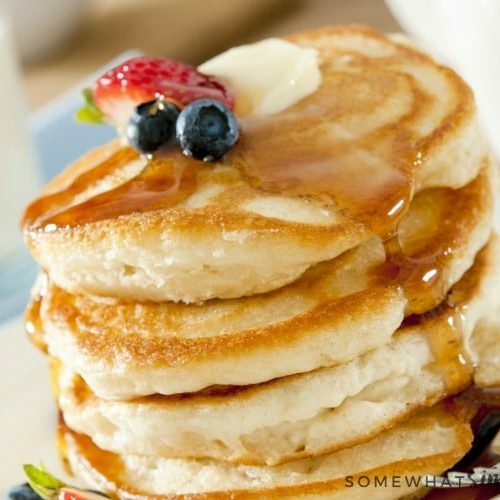 Simple and quick! 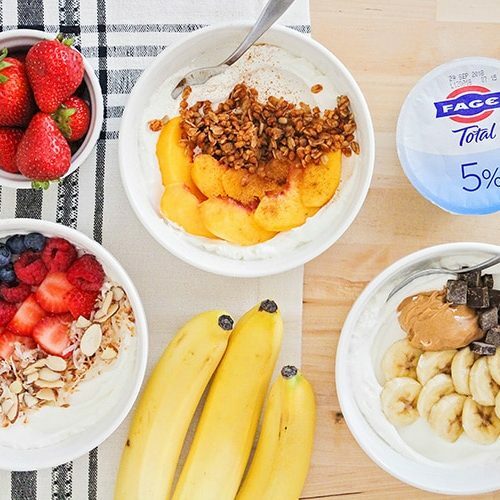 Scoop into snack cups and enjoy! 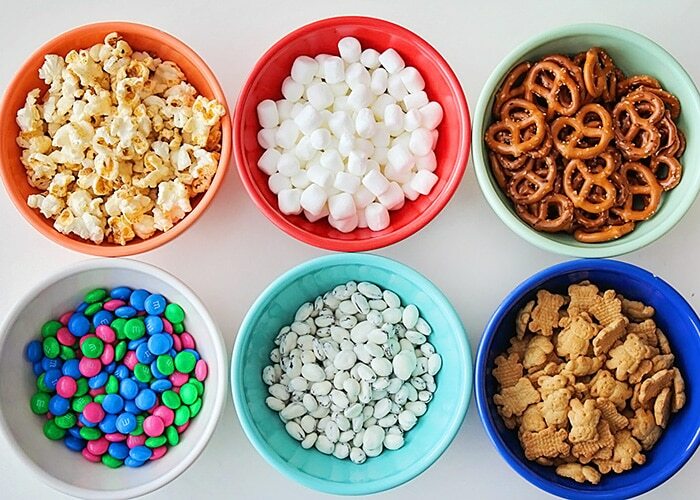 From there, you’ll just scoop the snack mix into your cute cups, and enjoy! 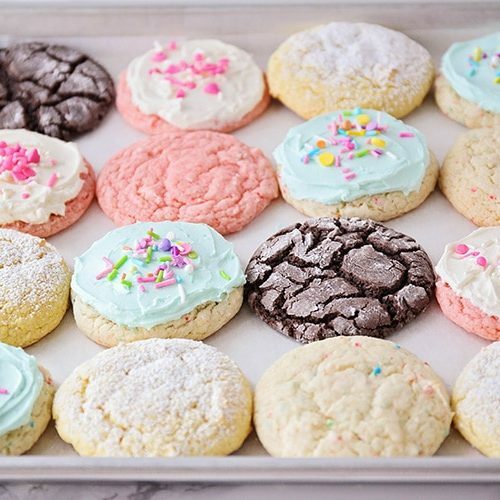 Seriously, how cute are these? 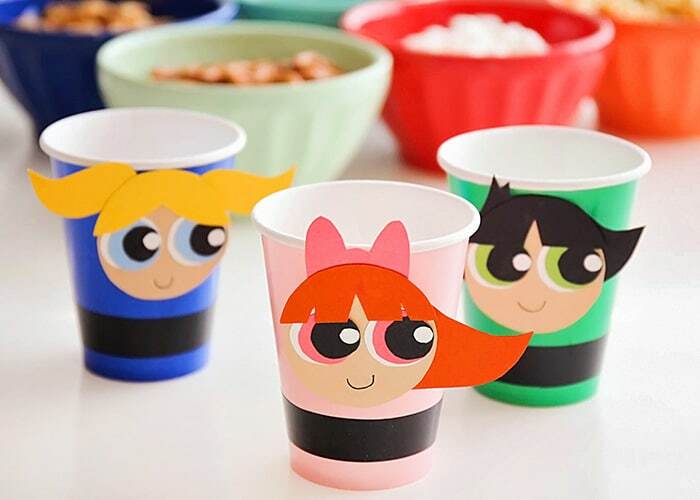 My kids couldn’t wait to dig in, so we took our snack cups and headed down to the family room to log into Hulu for a Powerpuff Girls viewing party! We are totally thrilled that all the classic episodes of The Powerpuff Girls are are now available to stream, only on Hulu! 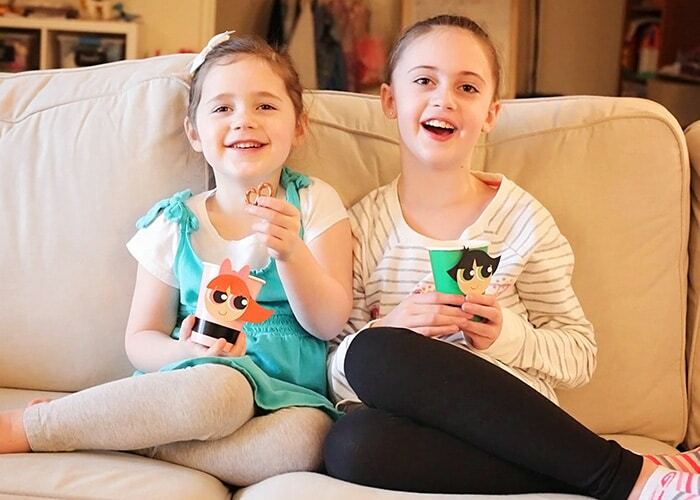 Hulu is our go-to for all of the girls’ favorite shows, and The Powerpuff Girls is one that they love. Hulu is THE streaming destination for the best of TV, and a great selection of films! Plus, you can stream almost anywhere, on any device, including gaming consoles, set-top boxes, tablets, mobile phones, and more. Visit Hulu.com to start your free trial. My girls love watching Blossom, Bubbles, and Buttercup on all of their adventures, including going to school, fighting crime, winning at hopscotch, and saving the world before bedtime. Each of The Powerpuff Girls is different, but they use their unique skills and work together to solve problems. They’re awesome role models for both girls and boys! 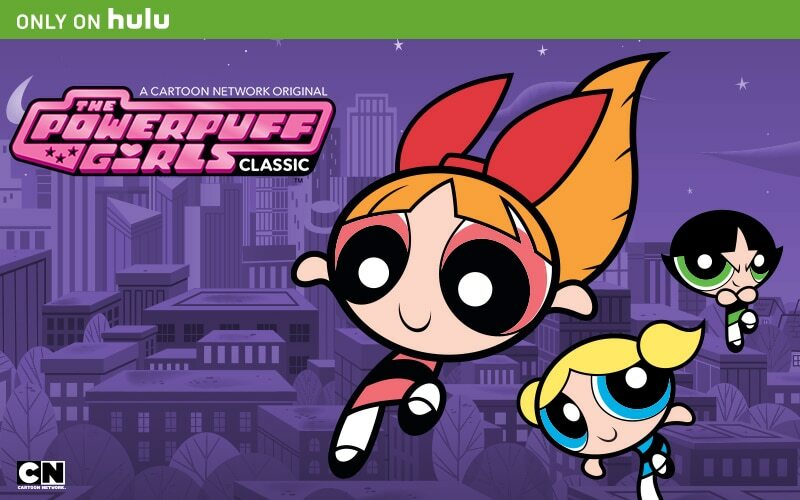 Be sure to check out The Powerpuff Girls, streaming now on Hulu! You can also visit Hulu on Facebook, Twitter, Instagram, and Google +. So fun and the snack mix is awesome as well! 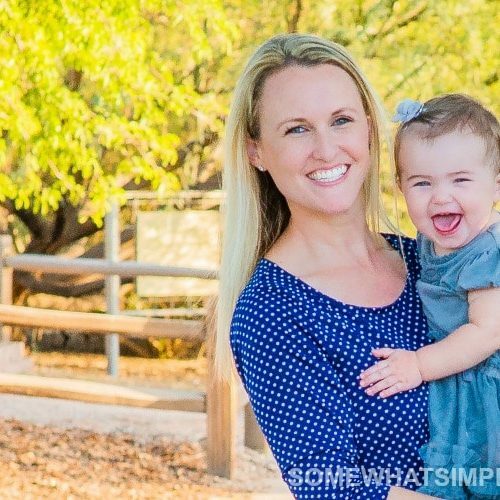 What cute girls!! Thanks for sharing with SYC. 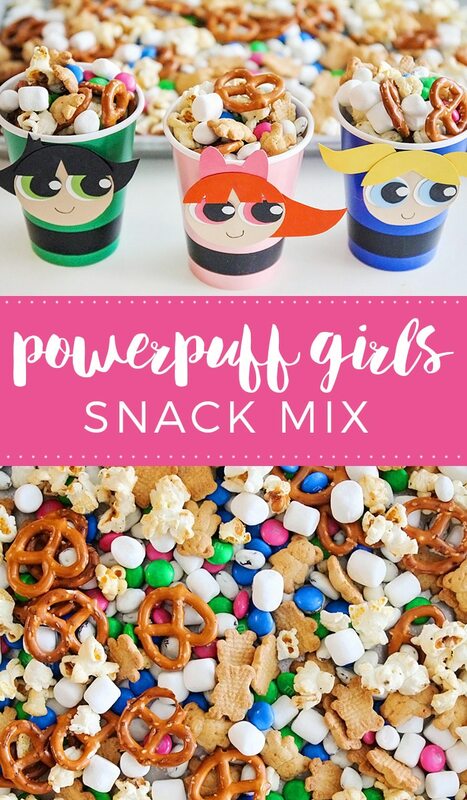 What precious young ladies and adorable Powerpuff Girls Snack Mix, this is awesome! 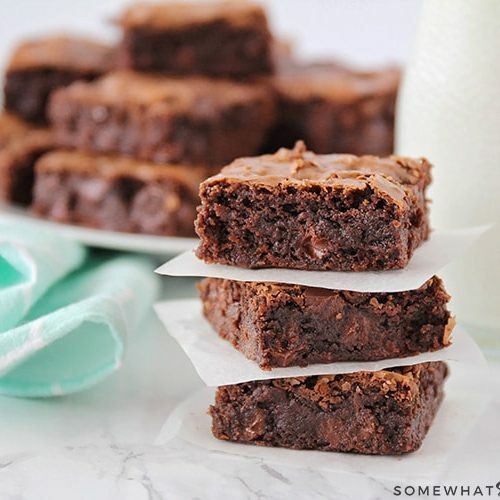 Thanks so much for sharing this special post with us at Full Plate Thursday and I am pinning this one! 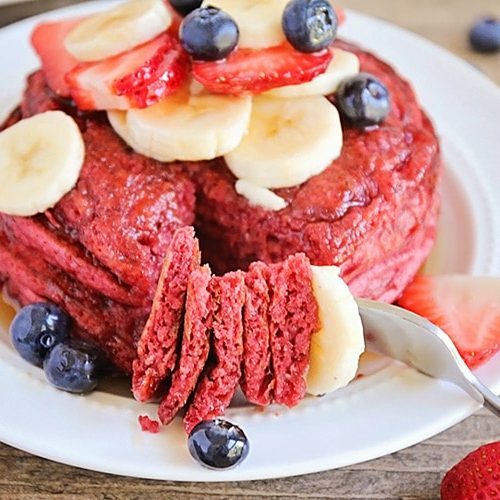 Omgosh, this is so awesome! I love Powerpuff Girls! 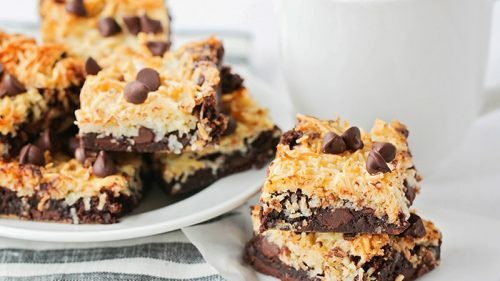 Those cups are absolutely adorable and who doesn’t love a snack mix with chocolate? I love this. Thank you so much.